Chop the green chilli, separate the egg yolk from the egg white and get rid of the whites, and juice the lime. Combine all of the ingredients in a large bowl, using your hands to mix the ingredients together well. Fry the patties on a medium heat, flipping after a couple of minutes until browned on either side. Transfer the patties into an ovenproof dish, cover the pan with silver foil and place in the oven for 15 minutes until cooked through. Cut the avocado in half and use a spoon to peel it out of the skin, chop into slices and leave to garnish. Finely slice the cheese, about 2 minutes before the burgers are due to come out put the cheese on and allow to melt. 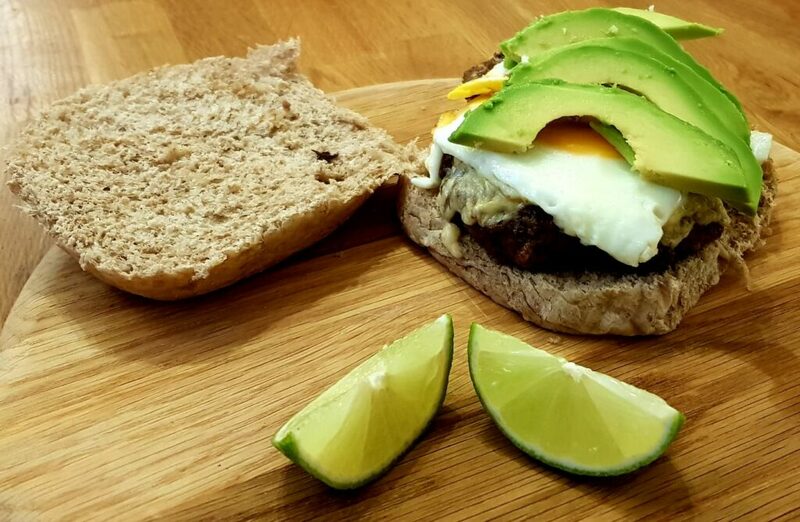 Take the burgers out, top with the rest of the ingredients and put them in the wholegrain bun. SERVE AND ENJOY! Works well with mixed root veg fries or sweet potato wedges. 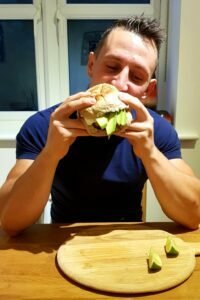 Here’s Josh McCollum, one of our Osteopaths, tucking into his healthy burger! Josh grew up in various locations within the United Kingdom and Europe as part of his military upbringing, attending Worksop College before training at Leeds Beckett University to complete his Master’s Degree in Osteopathy. Quick tips to help you relax and de-stress Anyone For Tennis?